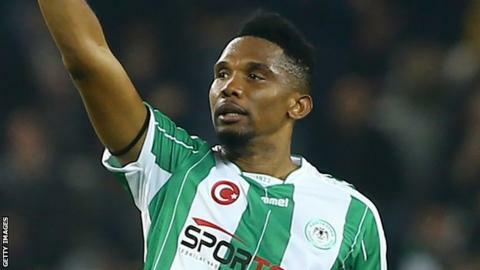 The 37-year-old moves to Qatar after leaving Turkish club Konyaspor by mutual consent earlier this month. He joins ex-Spain international Xavi and former Netherlands player Wesley Sneijder in the Qatari league. Eto’o, a four-time African footballer of the year, played with Xavi at Barcelona, and Sneijder at Inter Milan, winning the Champions League with both teams. He has also played in England – for Chelsea and Everton – and Russia. ← Carl Ikeme retires from professional football….